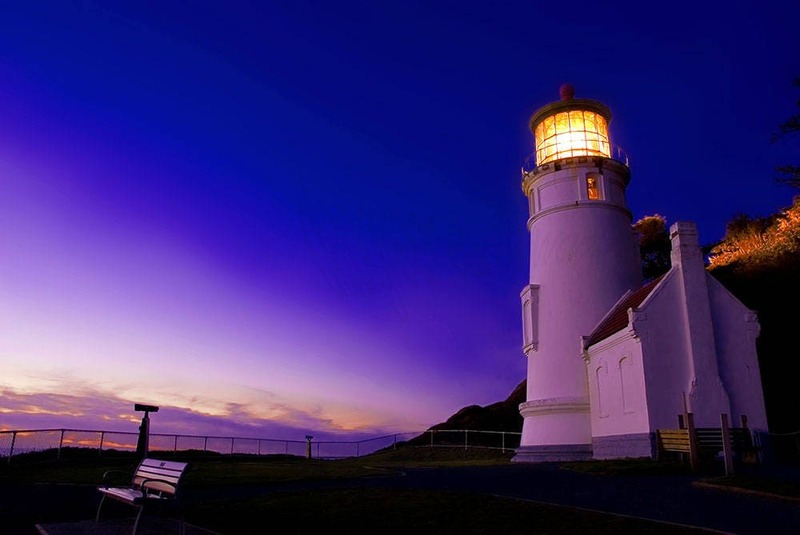 The Heceta Head Lighthouse is said to be the most photographed lighthouse in the United States. Listed on the National Register of Historic Places, this working lighthouse shines its beacon 21 miles out to sea, and is the brightest light on the Oregon Coast. Photograph was taken in Florence, Oregon, USA. Image is 3872 x 2592 pixels.